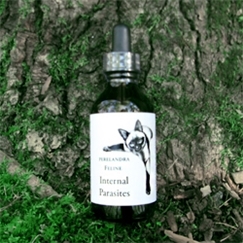 Feline: Internal Parasites - Perelandra Ltd.
Then one dose monthly throughout the year. If you see indications the parasite issue is still present after the first 3 months, continue to administer the Solution once daily until the issue is cleared. What are some examples of internal parasites? 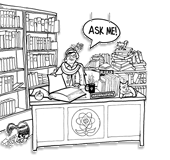 Heartworms, hookworms, tapeworms, roundworms and whipworms, just to name a few. Before you ask: The Internal Parasites and External Parasites Solutions do NOT contain parasites. (No parasites were harmed or injured in the production of these Solutions!) They contain only water, a specific electrical pattern and preservative.